is dedicated to helping every client get their weight off and keep it off. We teach proper nutrition by showing you how to read labels and balancing your meals. You will receive a folder with all the information you learn during your first visit along with meal plans, recipes and shopping lists. We will also perform a body composition analysis and calculate your lean body mass, water weight, and body fat. This will provide a starting point and help set a goal for your weight loss journey. We provide 24-hour assistance so if you have a question while at home or at the store you are welcome to e-mail us. We truly answer e-mails at all hours of the day every day. A nutritious, well-balanced diet – along with physical activity – is the foundation for good health. Healthy eating includes consuming high-quality proteins, the right types of carbohydrates, heart-healthy fats, vitamins, minerals and water in the foods you take in while minimizing processed foods and saturated fats. Eating in this manner helps you maintain your body’s everyday functions, promotes optimal body weight and can assist in disease prevention. Our programs are accompanied by weekly Lipo-B injections. You can read about their value on our services page. Voted Best of Utah Valley Consecutively Since 2008! 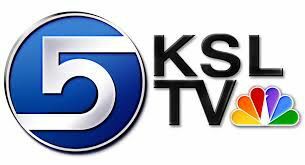 Click Below to View Interview with KSL Channel 5! Let ABSolute take you the rest of way! We ask our clients for their honest feedback, and here’s what they have to say about ABSolute Weight Loss! “I am no longer Diabetic!" Thanks to my wife and ABSolute Weight Loss Center I am no longer diabetic! When my wife first joined ABSolute I was very skeptical about another “Diet Center”. My wife lost an amazing 50 pounds! My wife actually paid for my first 5 months to get me to go. I was immediately impressed by the knowledge of the staff and the nutritional plan that they have. Being diabetic, I had a fair amount of nutritional knowledge. They did a great job of educating me on how this might work for me and my diabetes. After six months on the program I lost 45 pounds! I had a checkup with my doctor. I am completely off of insulin and medication and am no longer a diabetic. All this in six months! Thanks again to my wife for loving me enough to encourage this and thanks to ABSolute for helping me to be healthy again. "I lost a little over 100 lbs in seven months!!!" Thanks to the program and wonderful support team at ABSolute, I lost a little over 100 lbs in seven months! I’ve gone from a size 24 to size 6 or 9 (depends on style). I reached my body fat percentage goal..Yeah! Now I feel healthy and strong, have a lot more energy, and greater confidence. I will have to work hard every day to maintain my weight, but I would rather have that battle than the battle of losing weight! I look forward to my weekly visits to ABSolute! Thanks for all of your support, especially Leslie & Deb. They are my Heber pals! "It is the best diet that we have ever done." My friend Karin and I first came to ABSolute in Feb 2009. We had heard about the HCG program but were skeptical. We’ve spent years working out at the gym and have even used a personal trainer. We noticed results but not as much as we wanted. We were desperate! 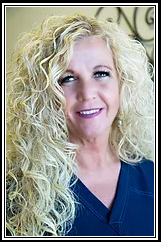 ABSolute made us feel extremely comfortable and taught us everything we needed to know to be successful on the HCG program. We went in every week to weigh in and had ALL of our questions answered. In 23 days Karin lost 14 lbs and Jackie lost 12 lbs. After HCG, we switched to the traditional program and Karin has lost an additional 8 lbs and Jackie an additional 12 lbs! We lost fat in places that were the hardest to lose. It is the best diet that we have ever done. The support of the ABSolute team was awesome! We feel great and highly recommend the program. "We lost fat in places that were the hardest to lose." My friend Jackie and I first came to ABSolute in Feb 2009. We had heard about the HCG program but were skeptical. We’ve spent years working out at the gym and have even used a personal trainer. We noticed results but not as much as we wanted. We were desperate! 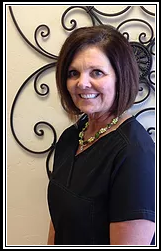 ABSolute made us feel extremely comfortable and taught us everything we needed to know to be successful on the HCG program. We went in every week to weigh in and had ALL of our questions answered. In 23 days Karin lost 14 lbs and Jackie lost 12 lbs. After HCG, we switched to the traditional program and Karin has lost an additional 8 lbs and Jackie an additional 12 lbs! We lost fat in places that were the hardest to lose. It is the best diet that we have ever done. The support of the ABSolute team was awesome! We feel great and highly recommend the program. "It's not really a diet at all, It's a life style change." This program has allowed me not only to have my life back but to have it better than before! I have always wanted to be healthy and fit but have not been able to get started on my own. This program was the best solution for me. The first five weeks were hard but once I discovered how good it made me feel, I wanted to try even harder. It’s not really a diet at all. It’s a life style change. I now can enjoy life a lot more fully. Things I love doing, like hiking, I can now do with better stamina and enjoyment. ABSolute has an awesome staff. Thanks ABSolute! When I started at ABSolute in Feb 2007, I was desperate for it to work for me. I was overweight, my blood pressure and cholesterol were high, I had back problems and my legs ached all the time. I was so tired by about 4:00 in the afternoon that I felt as though I couldn’t make it through the rest of the day. I was generally very unhappy with how I looked and how I felt. I lost 5 lbs the first week and right away started to feel less tired. When I went to my Doctor in August, he was very pleased, not only with my weight loss but my blood pressure and cholesterol had lowered and I was able to stop taking my medication. I have lost 33 lbs and I’ve been amazed and how relatively easy it has been. I get up in the morning feeling good and go all day without being tired. The girls that work at ABSolute are ABSOLUTELY wonderful! They are always so friendly and supportive. I look forward to my visit each week. My mom and I would like to thank Absolute Weight Loss and Nutrition Center for our weight loss journey. It has been such an amazing life changing experience. Thank you Absloute and the wonderful staff for all of your help that you have provided for us to help reach our goals and for making our journey so well worth it. The inspiration, the assistance and helpful tips and most importantly the forever friendsships you have given us will never be forgotten or overlooked. We love each and every one of you! 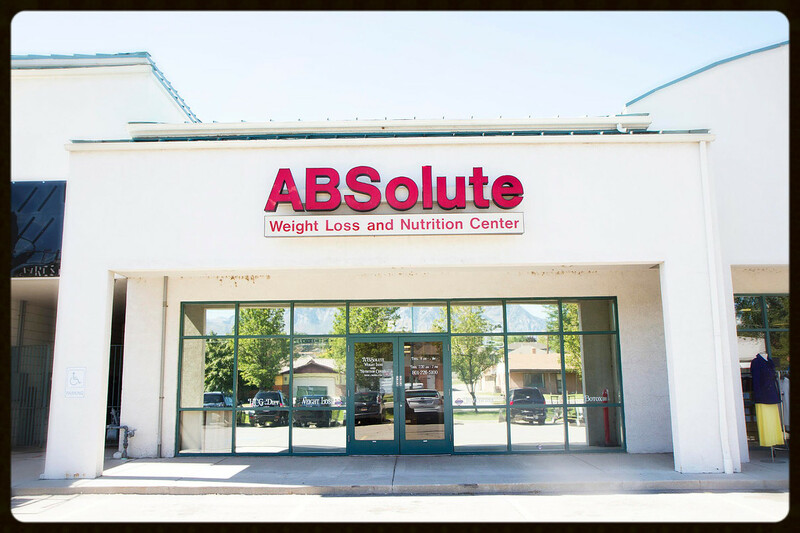 We are so proud to call Absolute our weight loss center. I love ABSolute Weight Loss and Nutrition Center for so many reasons. The staff is so supportive, and it feels like you become part of the family. You will never have a question that goes unanswered. Not only do they answer your questions but they take time out to make sure that what they are explaining to you makes sense and that you know how to incorporate it into your life. With ABSolute it is never about the money, it’s about your success. They truly have your best interest at heart. I have been coming here for over 8 years and I have always been treated like their best friend. Love these ladies! They are very supportive, even when you gain when you are trying to lose. This program has helped me lose 25 pounds so far. Looking forward to losing an additional 25! I am new to this program but am completely surprised at how much nutritional education ABSolute provides! I also can’t believe the change in my body in such a short time. Thank you so much ABSolute! When I came in for my first visit Leslie told me I could e-mail her any time with any questions I might come up with in between my weekly visits. I kind of laughed and thought to myself, she has no idea what she just got herself into. I am one of those that has a question at every turn. Well, I am here to tell you she wasn’t kidding. Not only did she e-mail me back and answer all my questions (and I have sent a ton), but her responses were so fast. I can’t believe the support this company gives me. I love the lipo B injections and will probably do those for the rest of my life. These girls may never get rid of me. The entire staff is friendly and the services they provide are very affordable. I was thrilled that what I was quoted for cost was what I paid. I had tried another clinic before ABSolute and once in there they continued to charge extra for this and that. If you are needing a team of experts to assist you on your journey through weight loss or a life style change, then get with the program….. I’ve loved having the assistance on my journey through health and weight loss issues. This is a team with such hardworking, compassionate, and loving individuals especially with a sensitive issue like weight. You will receive nothing less than a warm, friendly environment, and the service is top-notch. I love all the girls there. They are really friendly and helpful. They answer any questions I have and are always more than willing to let me try any samples. At first I was a little leery about taking an appetite suppressant and getting shots, but with the results I have been getting it’s great!! Plus, they help so much. I don’t crave things the way I normally would, I will still cheat here and there but that is mostly because I am out with friends and I want to. Not because I feel like I have to like I did with other diets I have tried (and failed). I’m still losing a ton of weight, so I don’t feel too guilty! I love it and I would highly recommend it to anybody. I have been using ABSolute in Orem for 6 months. I chose to keep a slow pace and they have helped me achieve my goals. I have never met a more helpful and friendly bunch of professionals in this line of work in my life. I think their rates are very reasonable and their multiple locations allow you to always make your weekly weigh ins no matter what comes up. I will continue to make my weekly visits even after I have reached my original and adjusted goals. Only 5 pounds from my original, and 15 pounds to adjusted and still on track! I would recommend this company to everyone. Add all of those in along with the others we have. On the ones you have please take out the dates. 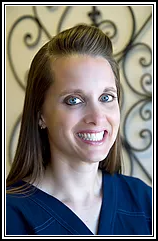 Leslie's underlying goal in this business is to make sure each and every person reaches their weight loss goals. She wears her heart on her sleeve and wants to help the world. She works hard to make sure each and every person she teaches understands the programs and is succesful on them. She is always willing to go the extra mile for anyone who walks through the doors of ABSolute. Rachel has been a part of our team since our doors opened. She is the nucleus of the operations of the office. 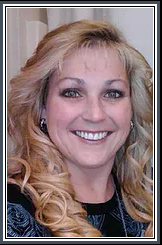 She has been a vauled asset to the company as well as to the many clients she has guided along the way. Rachel lives the ABSolute program which in turn makes her a great source for advise. Brenda started with ABSolute in 2006. She was a patient before being hired. She's had tremendous success with the program. She works one on one with the patients giving them the perfect dose of motivation for there road to successs. Karin started with ABSolute as a patient and did fantastic. She has kept her weight off over the years and joined the team in 2014. Karin has been a great addition to our team. She takes pride in getting to know each and every one of you, her enthusiasm is contagious.